Received a BUY order but not buying, Why? As you know, TradingView Addon allows Gunbot to execute trading signals sent from traders from tradingview.com. We have to keep in mind that, under some circumstances, a buy order could not be executed by the bot. Why? 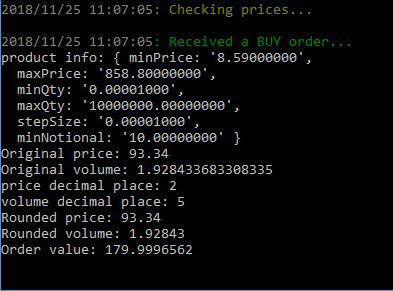 – If you already have the coin the bot it’s trying to buy, in the case the amount is higher than TV_MVTS parameter, the bot would switch to sell mode. Note that if the bot already bought a coin, it will switch to sell mode and it won’t execute additional buy orders unless you activate PIRAMID_BUY. – If you are trading with USDT or any other fiat coin as base coin, you could need to make a manual buy and sell to assure the bot has reference prices. 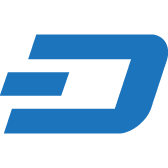 For example, if you want to trade USDT-LTC, use some USDT to buy LTC (a very small amount is enough), then sell those LTC back for USDT. – TV_MVTS is lower that the amount you already have. TV_MVTS states the minimum amount that makes the bot switch from buy mode to sell mode. If this is your case and you want to buy more before selling, just raise TV_MTVS. On the other hand, the most common reason that causes the bot missing a sell order is the activation of TV_PROTECTION parameter. If your TV_PROTECTION parameter is enabled and TV_GAIN is set to 5, it won’t sell unless the profit for that trade is, at least, 5%, even if you get a sell alert. 2- Check the bot logs. They always show more detailed information that can lead to a better understanding of the reason why it’s not buying or selling. 3- If you purchased Gunbot from https://gunbot.shop you can contact our support team and we will take a deep look into it in order to fix the issue.